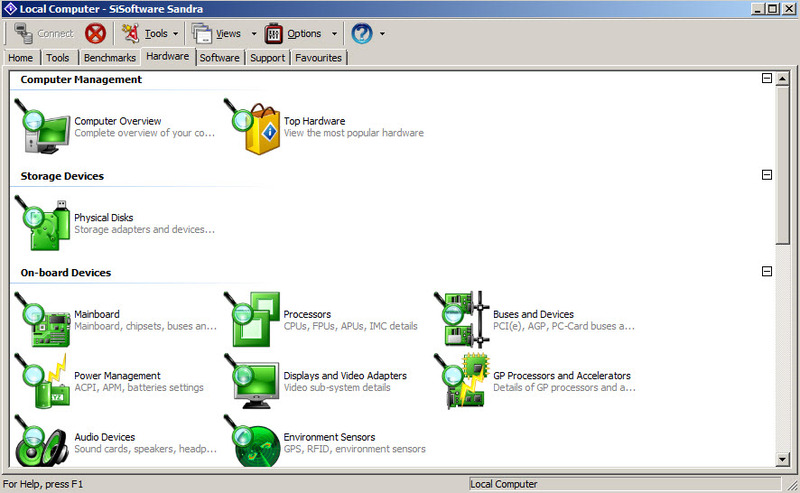 SiSoftware Sandra Lite is able to look at all details about your computer's configuration (hardware and software) and to make benchmark tests. Whether you want to view exactly the components of your PC or you want to see how good it is compared to others, this software will do a great job. 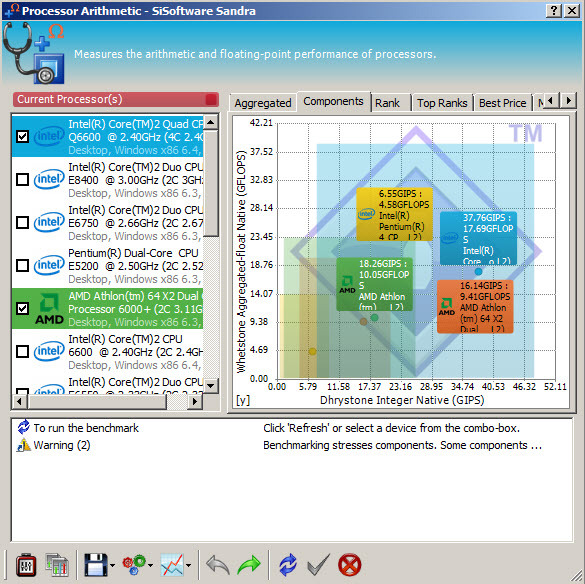 It includes 3 main modules: benchmark, hardware info and software info. You can view an overall score of your system and compare it with others. It displays top configurations, so you will have an idea what to look for when you want to buy a new computer. 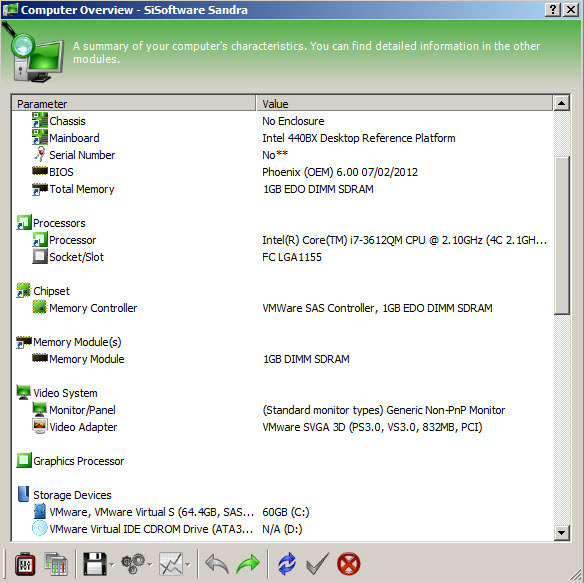 Also, these reports can be generated for each component such as processor, graphic card, memory, network and more. 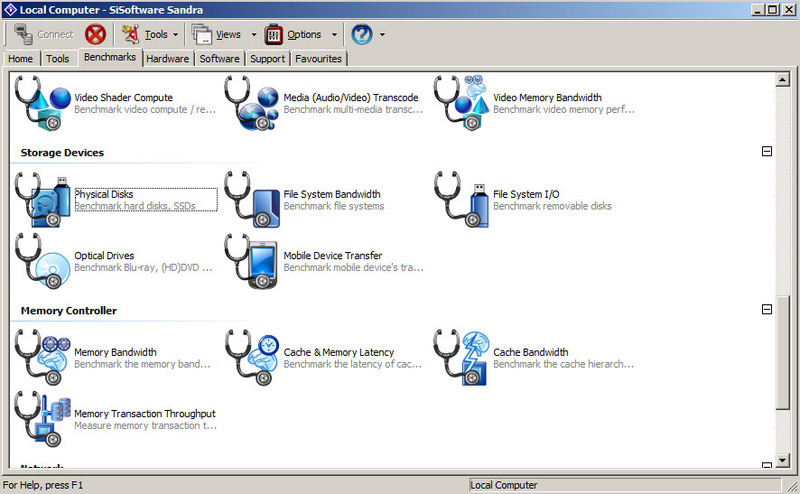 The program is able to display a complete report about all hardware components found on your system. You can view info about storage devices, on-board devices (mainboard, audio, processors ..) and peripherals (printers, game controllers, USB ports ..). View detailed data about your operating system (version, type ..). View memory usage and running processes. 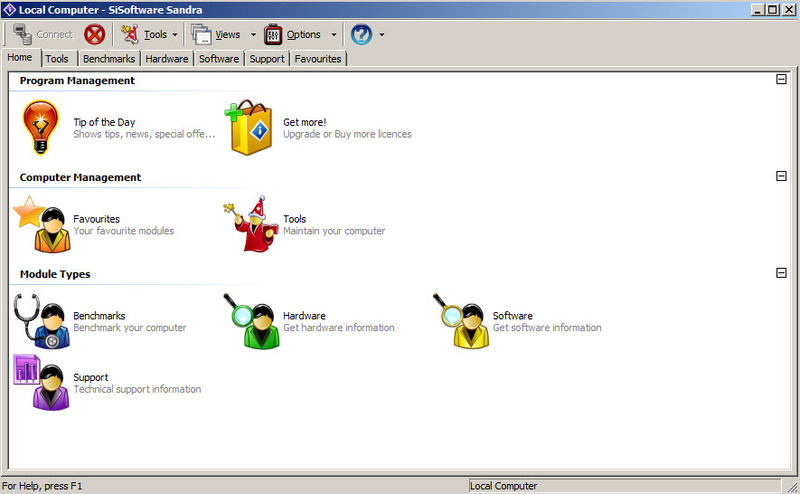 Sandra Lite is available as free download for Windows 32-bit and 64-bit. Sandra Lite is 100% clean and safe to install. You can see the test results here.